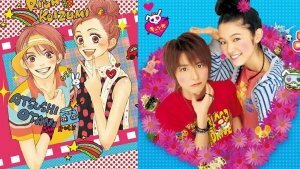 Based on the bestselling manga (graphic novel) by Aya Nakahara, LOVE*COM THE MOVIE (short for Lovely Complex) centers on two high school students. Risa Koizumi is the tallest girl in class, and the last thing she wants is the humiliation of standing next to Atsushi Otani, the shortest guy. But fate and the whole school have other ideas, and the two find themselves cast as the unwilling stars of a bizarre romantic comedy duo. As their friendship blossoms, so do Risa's feelings toward Otani. LOVE*COM examines the often-complicated feelings and comedic moments of the experience of dating people of different heights. A girl, because of his short stature, previously rejected Otani and he thinks he looks peculiar with a taller girlfriend. Risa has the opposite problem, already tall and never finding a guy who is taller. These height complexes, and the romance that eventually ensues in spite of them, develop the Lovely Complex that this film is ultimately about. 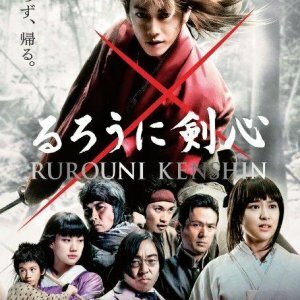 1-The reason I watched this : I've already seen the anime therefore, I wanted to see the the live-action adaptation and so I end up watching this film. 2-Storyline/Plot : Almost the same from the anime though it was a bit rushed and lacked many important events which made it feel wrong sometimes. However, script writers managed to take the right path after a lot of struggle. I watched the anime so the story was predictable to me. As for those who haven't seen the anime, this storyline may seem really absurd to watch. 3-Acting/Cast : Teppei was one of the main reasons I watched this since he's cute and *insert shallow feelings*. Beside that, I don't believe that the acting department wasn't that amazing or appealing; it was acceptable overall. 4-Music : It was kind of a normal music not too special not too lame. 5-Rewatch value : Well, people who fell for it hardly would defenitely rewatch, others would think of it as a waste of time. 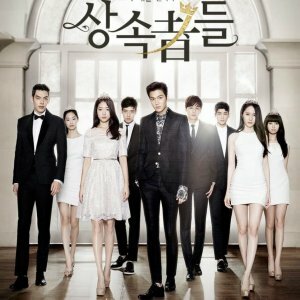 6-The ending : It was satisfying. it wasn't the type of ending that would make you jump of your seat so don't expect too much. 7-Overall : It wasn't that bad but it wasn't that great either. It could've been much better yet it wasn't a disappointing adaptation. P.S : For those who watched the anime and liked it you may want to watch this without high expectations or prejudices; it will much better that way. This was possibly one of the cutest things I have ever watched! I love the story! I'm defiantly going to watch the Anime now. The acting was great, it was very very sweet! I think I could watch this over and over again. Its so funny, if anyone is having a bad day they should watch this. I've never seen Koike Teppei in anything but I'm defiantly going to check out a few of the other dramas hes in, he was great. The acting was good, very cute! 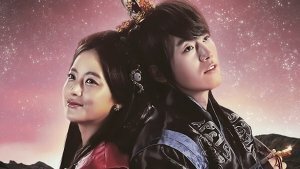 and the chemistry between the male and female leads was great.